You’ve used the great tips on How to Find a Few Good Crew from our post earlier this season and now that you’ve found a few competent people that you like sailing with—how do you make sure they keep coming back? Loyalty among the crew is prized above all say many boat owners, but loyalty among crew doesn’t come without a little effort on the part of the boat owner. With a few hundred races on the Bay per year, even a beginning sailor has plenty of opportunity to boat hop if they’re not having fun. While some sailors will move on to other more challenging boats, Woodruff has about 10 core crew that keep coming back, year after year. One of the ways he keeps his crew happy, is to get them together each year to pick one signature regatta to charter a boat and race in. “Last year we sailed in the Croatia Cup, starting in Split and heading northeast up the coast.” It was a weeklong one-design race—the group chartered one of 20 Beneteau First 35s—and Woodruff’s crew finished second. “We did very well, because one of the things you find out is that if you’re okay sailors in the Bay, you’re pretty much going to kill it everywhere else,” he says. The trips keep people interested because they have a new challenge each year, but what Woodruff’s secret really comes down to, is allowing people to make mistakes, to learn and grow as sailors. Organizing custom gear that looks sharp and clearly identifies a crew to a boat is a great way to build crew pride. Photo by Chris Odom. Keep them fed and watered: Of all the expenses an owner can incur with boat ownership, skimping on lunch is not the place to save a dime. Bring enough food to the boat to keep them (and yourself) going all day, including quick snacks like cookies, nuts, or chips. But you don’t have to spend $150 per regatta on gourmet sandwiches either—talk to your crew to find out what they like. They may prefer simple homemade turkey sandwiches on a loaf of good bread to store bought ones smothered in mayo, pickles, and onions. Whether or not you carry beer on the boat is your prerogative, but at the end of the day, a cold bottle of beer or springing for a pitcher at the bar goes a long way to letting your crew know you appreciate their hard work. Order team gear: Nothing says team like a uniform. It’s important to have crew that gets along together and is enthusiastic about going sailing. Custom crew gear that looks sharp and clearly identifies a crew to a boat is a great way to build pride. And a proud crew is a crew that will prioritize going sailing with you. The best part is, you don’t even have to pay for it all. If you have a smaller budget, offer your crew baseball caps, and let them know that technical shirts are also available—don’t be surprised if they all want to order one, even if they have to pay for it themselves. Don’t micromanage: We all make mistakes, but nobody likes to feel like they’re under a microscope all the time. One of the most common complaints made among the crew about their boat owner and helmsman is, “He’s a great driver, if only he’d focus on that.” If your crew is new and needs some extra training, schedule a practice session. Once you’re out on the race course, let your crew do their jobs. If mistakes are made, address them constructively between races or back at the dock in a de-brief session, preferably with a round of cold beer. Draw from your crew’s talents: Corinthian sailing crews come from all walks of life and bring all kinds of experience to your boat. Talk to your crew and find out what they’re good at. Do you have a graphic designer in your midst? Ask them to design a new team t-shirt. Maybe your bowman is particularly good at splicing lines, or you’ve got a trimmer who spends their weekdays working as a nutritionist. Getting your crew more involved in boat management and maintenance off the water, gives them a greater stake in the success of the boat on the water. Organize onshore events: The onshore social element is a huge part of why many sailors join Corinthian crews. Taking your crew out for a team dinner at the end of Rolex Big Boat or any other big regatta is a great way to say thanks. Or, host an off-season event like a Super Bowl party. Another benefit to onshore events: They help your crew get to know each other better, which often leads to less chatter on the rail and more focus on the race. Hey crews: This isn’t a one-way street. There are a lot things you can do to let your boat owner know you appreciate the opportunity to go sailing and show them you’re an invaluable member of the team. Doing a boat delivery, bringing homemade cookies to a regatta, or offering to provide the sandwiches or beer for a race is always appreciated. And at the end of the season when your skipper takes you out for a nice dinner? Make sure you’ve organized a nice year-end gift in return. At the end of the day, racing together is a huge commitment for the owner, crew, and their family and friends. Making everyone feel like a valued member of the team goes a long way to creating a successful program. 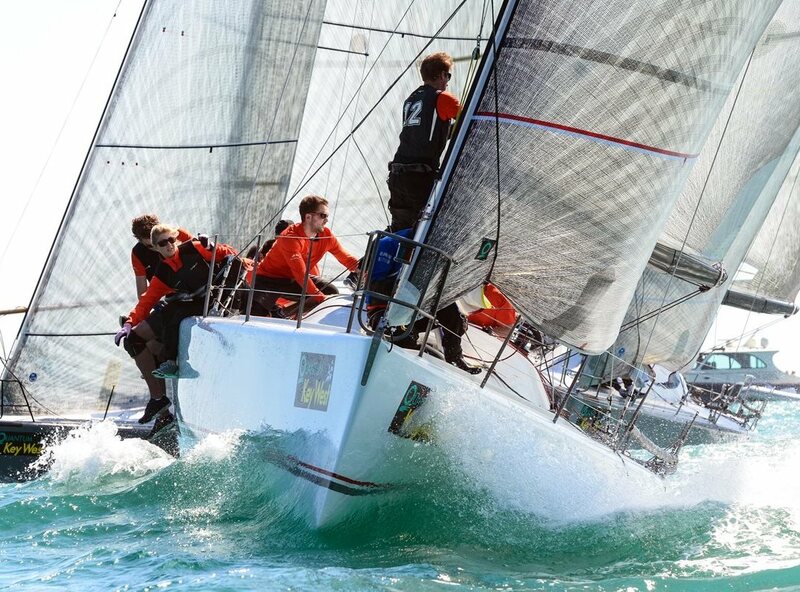 This is part of our race-prep series, click on these links to learn about finding crew, turning your crew into a team, and preparing your team for a signature regatta.